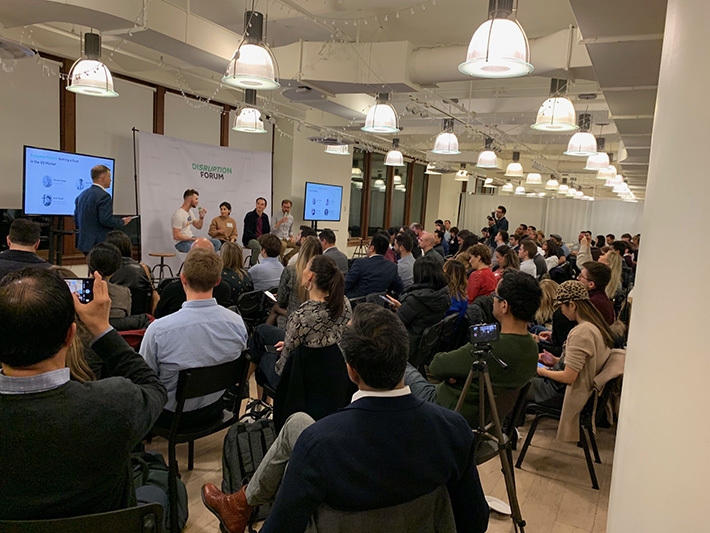 More than 200 people packed into a Manhattan office last night to hear panelists from top fintech companies discuss everything from Artificial Intelligence (AI) in fintech to U.S. regulations to diversity. 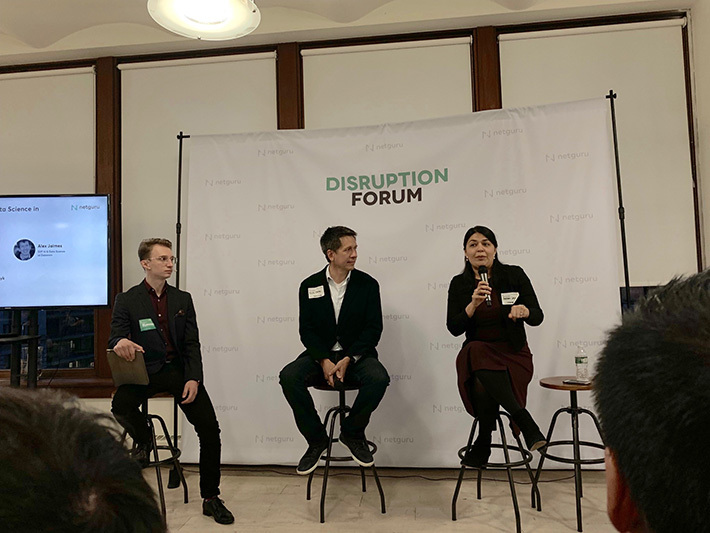 The event, called Disruption Forum Fintech NYC, was organized remotely by a Poland-based software and technology consulting company called Netguru. This was their third event, following one in Berlin and another in London. 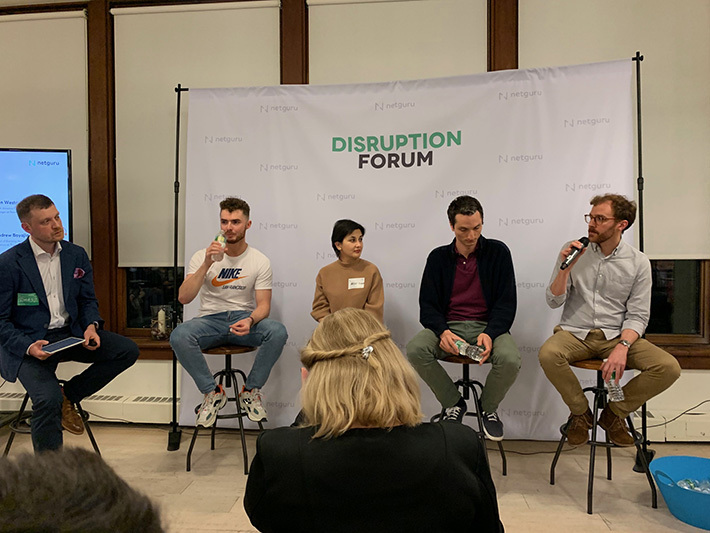 The event took place at the office of Work-Bench, a VC firm, and most panelists during the four panel event discussed regulations in some form or another. Afterwards, they address constraints and work creatively with them, she said. But at least they know that they started off from a place of trying to solve a problem for the customer. 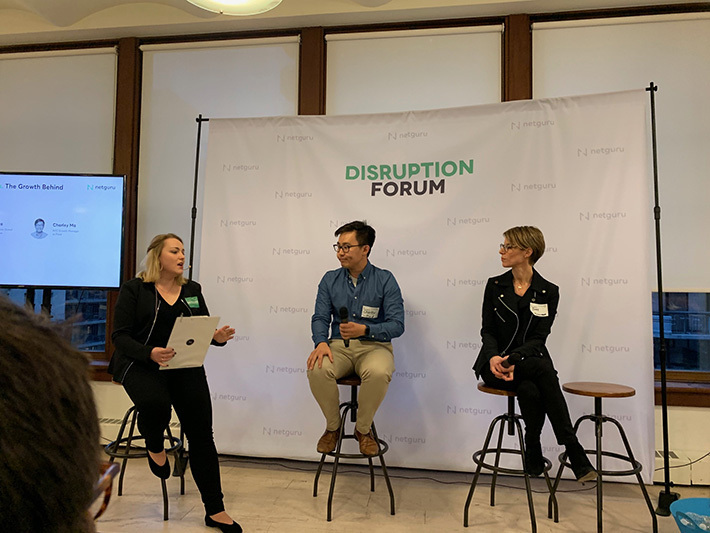 One theme was how U.S. regulations have made it difficult for fintech companies to enter the highly coveted U.S. market, particularly when compared to Europe. In the U.S., fintechs must partner with banks to carry out many services and some banks are friendlier to fintechs than others. 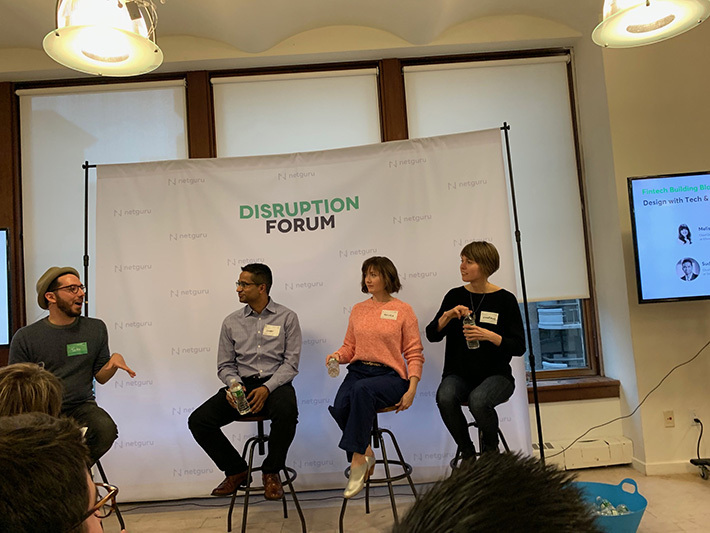 Andrew Boyajian, Head of Banking, North America at Transferwise, which makes it cheaper to send money across country borders, said that part of his job is to find U.S. banks that are willing to work with them. He said that some of them are, but other banks still have policies against working with companies like his that deliver bank-like services. One panel focused on AI in fintech. With regard to the notion of AI replacing human beings altogether, Lakhani said she thinks we all need to get that idea out of our heads. “You do need human beings to think and reason,” she said. Regarding the fear that robots may become as human-like as humans, AI specialist and panelist Alex Jaimes joked that he’s met some humans who he could have sworn were robots. With seven offices in Poland, Netguru employs 600 people, a quarter of whom work remotely. They company was founded in 2008 and more than 90% of its business comes from the U.S., the UK and Germany.